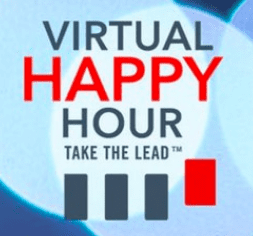 Virtual Happy Hour, hosted by Take the Lead, is a once-a-month event spotlighting women leaders. What are the challenges for you in philanthropy? Like everyone, my challenges are fundraising. I knew when I launched Philanthropy Women, I couldn’t do it on my own. I needed key stakeholders, so reached out for support from women who I knew who wanted to grow the sector of media attention for gender equality philanthropy. For my own personal philanthropy, like many couples, I work in a team with my husband. Our giving has tended to center on the Episcopal church and related social justice initiatives, music education, and independent journalism. Now we also give to The Women’s Fund of Rhode Island, and also to the Rhode Island Coalition against Domestic Violence. My husband and I also support organizations doing global gender equality work, and we have funded local arts initiatives for women and girls through a giving circle I formed, which I hope to do more with in the future. How can a woman get started? And is there a way for her to align her job and a philanthropic cause she believes in? My advice is to start small and celebrate new breakthroughs in the progress for your business development. In any business, it takes several years to get traction, to build your skills, your identity, and your reputation. Also, be flexible with yourself. Change course if needed. I’ve seen friends decide to end their startup and go back to working full time, and sometimes that’s what needs to happen. Give yourself what you need. For me, being a social worker naturally aligned me to pursue writing about social justice, and my interest in women’s studies goes back to both my undergraduate education at Hunter, and my graduate education at Smith. The internet is helpful for aligning your job and your philanthropy, since it helps connect you to a wider population and find the people who share your particular interest. How can women make their contributions count? The beauty of working in online media is that all of your efforts are documented. I encourage women to build their reputations online, whatever they do, as it is a powerful tool, and by default, your contributions are counted. It becomes easier over time to find the paper trail that leads to you, and the more you do online, the more that paper trail can show. What have you learned from the women you’ve worked with? From the women I have helped treat in my private practice, I have learned about the amazing resilience of the human spirit. The #Metoo stories coming out today help me realize how much women have suffered in silence through the years of my lifetime. Many important #MeToo stories are surfacing, and every woman has to choose for herself whether to make her story public and consider the potential legal ramifications. We all have to figure out how to navigate forward at our own pace. From leaders in women’s philanthropy, I’ve learned to keep challenging myself. I do this by staying in touch with many remarkable women leaders in philanthropy, who inspire me with their attention to social issues, particularly the needs and rights of vulnerable communities. What are the passions driving women in philanthropy? I can only speak about gender equality givers, since that is the sector that I focus on. The passions driving gender equality women givers are outlined well by WPI’s recent report on high net-worth women. These women are driven by deeply ingrained values that often come from a religious upbringing. They’re very research-driven and yet empathetic. They’re risk-takers. They see the added value of philanthropy directed at women and girls. They are focused on systemic and structural change. All of these things make gender equality givers, in my opinion, the best givers. That’s why I study them and practice gender equality giving myself. Is philanthropy a gender-neutral field? Are there parity issues here as in other industries? Philanthropy is absolutely not a gender neutral field! Philanthropy exists within the patriarchy, and is borne of a capitalist economic system that, sadly, leaves many people locked out. As the stories are now surfacing about sexual harassment and abuse in the nonprofit sector, hopefully the sector will begin to recognize that there is much work to be done internally. How has the philanthropic world changed—what issues have driven that change? Philanthropy is starting to pay more attention to the pivotal role that women’s leadership can play within the sector. But more importantly, philanthropy is calling attention to the transformative role women can play in global economies, and within global health and public policy. It’s not a new realization, but there’s renewed emphasis on making gains in seeing the value of women’s leadership because we see under President Trump what can happen when an anti-feminist gets into the highest office in the country. 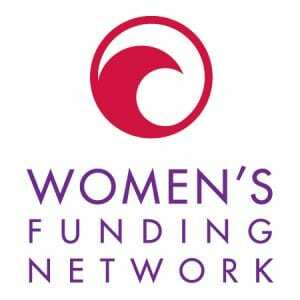 Opportunities and challenges women face in philanthropy? I think what women offer the field is a stronger inclusive vision of the world, and this can be translated into opportunities not just in philanthropy, but in the crossover between socially responsible business and government collaboration. Women can be the bridge builders between the different sectors. They have the ideas and the mentality to change the world, but first they need to rise to critical mass in leadership. That is our big challenge now. To rise to that challenge, we need to ensure that more women are elected. That’s why we are seeing a lot of new investment in philanthropy in preparing women to run for office. Advice for women looking to break into this world? Be kind to yourself and to others. Build your authority over time by your ongoing kindness, as well as your strict attention to the ideals of justice and equality. Value all of your feelings, particularly your anger about injustice. That anger is telling you something important, and when employed strategically, it can fuel social change. That is part of what #MeToo is teaching us — the importance of valuing our own anger. Recommendations for women seeking leadership roles. What was your secret to making it? Persistence through difficulty is key. Not every day is a barrel of laughs. There is drudgery in every profession, and some people need more outside structure to function at their best professionally. But there is also great value in building your career as much on your own terms as possible, so that in the end, you are the sole owner of what you have built. The traditional trajectory to leadership for someone in my profession is to work for several decades in a large agency or in government. Instead, I chose to become an independent provider for my clinical services, and from there realized that I could use the knowledge and experience I gained in my practice to add to the data on vulnerable people. At the same time, I could become a more visible public advocate for gender equality. I look for opportunities to tie my daily clinical practice work directly into the work we discuss on Philanthropy Women, and because I specialize in treatment for survivors of physical and sexual abuse, there are many opportunities for me to tie my work into my philanthropy. I also specialize in financial social work, helping people pay attention to how their financial lives impact their emotional lives and relationships, so again that ties heavily into gender equality and how women wield their power with money. Learn more about Take the Lead here.